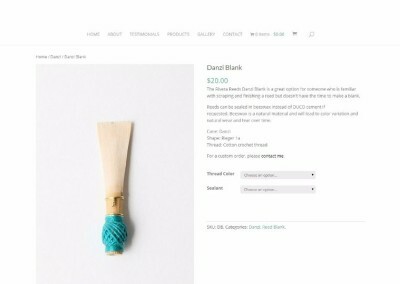 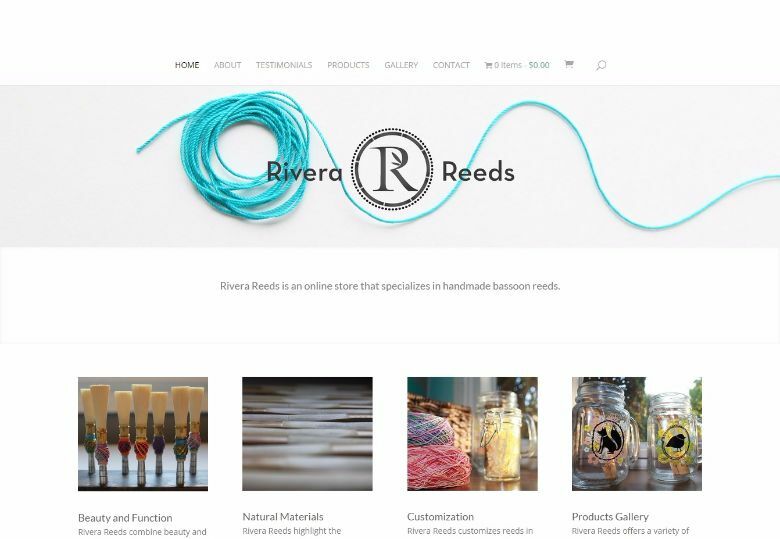 An online store that specializes in handmade bassoon reeds. 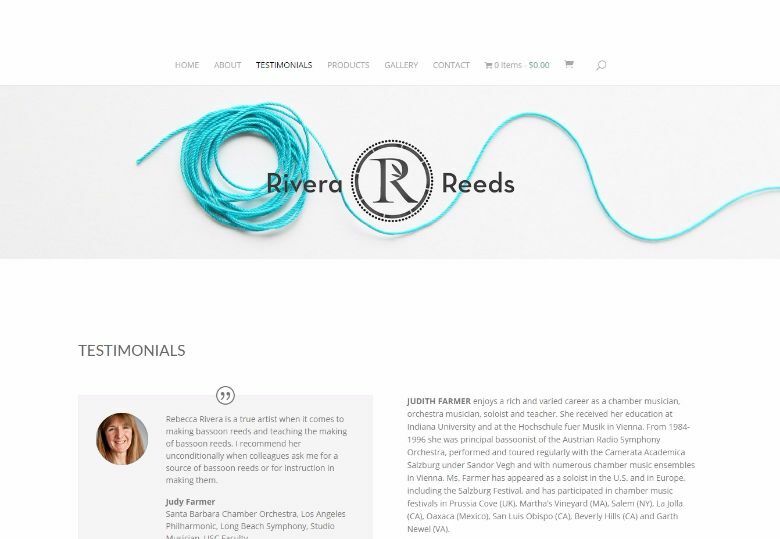 I’ve known Rebecca Rivera since our time at USC. Rebecca needed a website for her bassoon reedmaking business, Rivera Reeds, to sell bassoon reeds, blanks and half-made reeds as well as to highlight the natural organic products with which the reeds are made. She wanted the overall feel of the page to be “earthy” to create continuity of the aesthetics of the bassoon reeds’ organic products. 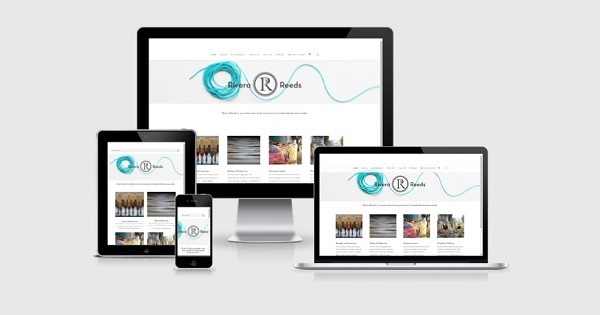 Similarly, Rebecca wanted a clean, crisp look to the website so that her images would stand out. 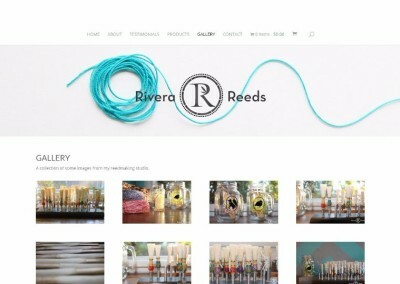 It was a blast working with Rebecca since she had such wonderful pictures which you can admire from her Gallery Page. 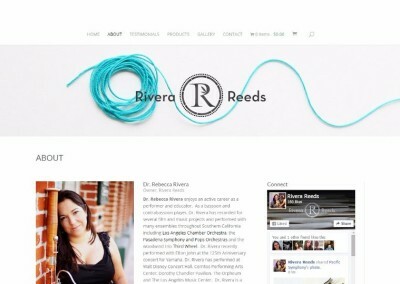 Dr. Rebecca Rivera enjoys an active career as a performer and educator. As a bassoon and contrabassoon player, Dr. Rivera has recorded for several film and music projects and performed with many ensembles throughout Southern California including Los Angeles Chamber Orchestra, thePasadena Symphony and Pops Orchestras and the woodwind trio Third Wheel. 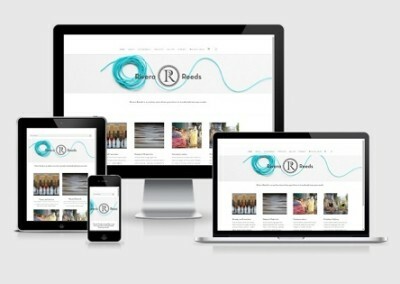 Huge thanks to Lana Lee at Woodwind Web Design. 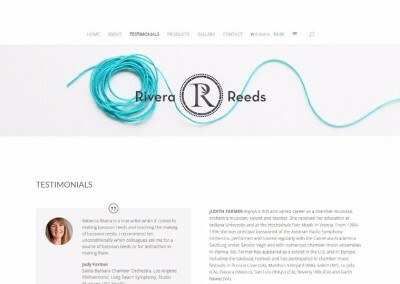 She showed me endless patience, creativity and support throughout the entire process. 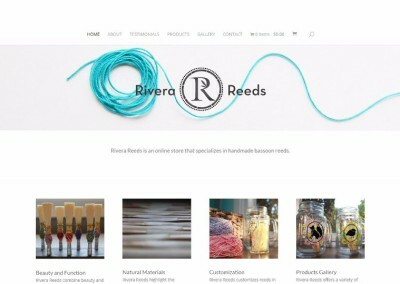 Everyone who has seen riverareeds.com is so complimentary and I’ve already referred several friends to Lana.